University of New Hampshire Press, 9781584656746, 299pp. 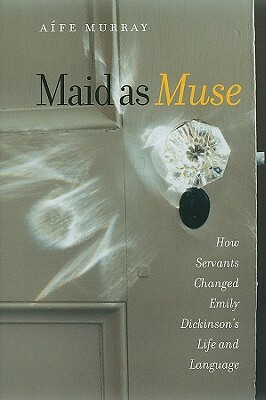 In Maid as Muse, A fe Murray explodes the myth of the isolated genius and presents an intimate, densely realized story of joined lives between Emily Dickinson and her domestic servants. Part scholarly study, part detective story, part personal journey, Murray's book uncovers a world previously unknown: an influential world of Irish immigrant servants and an ethnically rich one of Yankee, English-immigrant, Native American, and African American maids and laborers, seamstresses and stablemen. Murray reveals how Margaret Maher and the other servants influenced the cultural outlook, fashion, artistic subject, and even poetic style of Emily Dickinson. Irish immigrant Maher becomes the lens to a larger story about artistic reciprocities and culture-making that has meaning way beyond Dickinson. This below-stairs, bottom-up portrait of the artist and her family not only injects themes of class and ethnic difference into the story but also imparts subtle details and intimacies that make the study of Emily Dickinson urgent once again. In the kitchen pantry where she spent a good portion of each day, the outside world came to Dickinson. The "invisible" kitchen was headquarters for people mostly lost from the public record--and it was her interactions with them that changed and helped define who Emily Dickinson was as a person and a poet.